Sometimes, it’s the little things that make a house a real home. Those little touches that give you a real sense of the person or people that live there. As I look around my apartment at the various quirky bits and pieces that I have collected over the years and wonder what my home says about me. That I’m a little bit nuts, probably – and I can’t argue with that! Anyways, in case you’re looking for some statement pieces for your home, I have found some interesting things at Karma Kiss. I think they make a variety of statements – from, ‘I am trying my best to avoid acting like an adult’, to, ‘I am trying to scare you away, never to return’, to, ‘Yes, I really am too cool for school’. 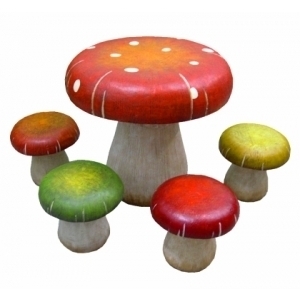 Whether you have little people living in or visiting your home, or if you just want to level the playing field and watch as grownups try to sit down on a tiny (toad)stool, this could be the dining set for you. Apparently, it’s suitable for indoors and outdoors, so if you’ve ever dreamed of creating a fairy grotto in your backyard, this could be a great place to start. Or perhaps you’re trying to create more of a hunting lodge feel. Or you have really competitive friends, who are always skiting about their success and telling tall tales about their achievements. 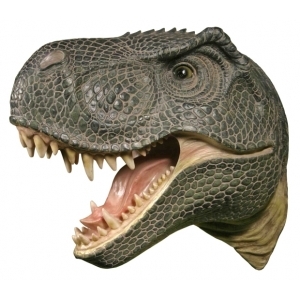 Yeah, they might be impressive, but do any of them have the head of a ferocious dinosaur mounted on their wall? Didn’t think so. 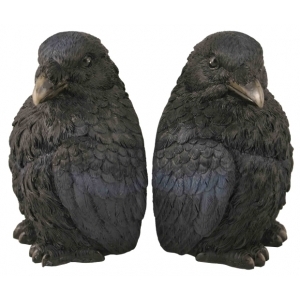 And then there are these Raven Bookends. At least, they’re meant to be bookends. But I would rather set them up somewhere high, so they’re glaring down like a sort of winged home security system. I can also see their benefit at work – I could set them up on my desk and whenever someone comes to ask me something, turn to the ravens and say, “Hmmm…I don’t know…what do you guys think?” See, the fun you can have working in HR! And I know this one isn’t really for your home, but this just seems like such a good idea to ensure adequate personal space when you’re in a crowd – or to put off other travellers from claiming your luggage on the carousel. 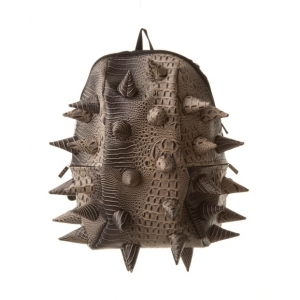 They also sell backpacks in a very cool bubble design, similar to that amazing furniture I posted about a while back – kinda like carrying a science experiment on your back. 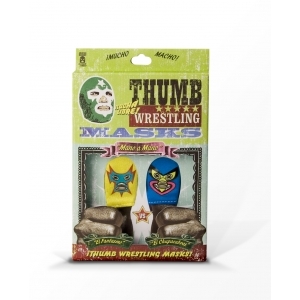 Oh, and one last thing in case you can’t get your hands on the thumb costumes from earlier this week. This product takes the thumb war to a whole new level. You’ve been warned. If you’d like to check out these and other ‘unique gifts and novelties’, the Karma Kiss store is here. I think I’d quite like to see your collection of quirky bits ‘n’ pieces, Sparks. My imagination is having a field day at the thought!